I am new to Dubai and came across your website which looks so informative. So many wonderful posts. I have gone dune bashing with my cousins and I guess I have a dune bug that has bitten me. Now I want to get my own off-road monster. I am divided between the Toyota Land Cruiser 100 series and the Nissan Patrol and so far my cousins have been great help to confuse me even more. I would like to have opinion from the car gurus here as to which one is better for say 70% of on-road driving and 30% desert driving. What is power to weight ratio, and which one is better? Which one is more comfortable on-road? Which one is better in the desert drive? Which one has more after market mods available? Which one is lower on maintenance? Generally fewer headaches and more fun? I am eagerly awaiting your valuable inputs, and hope you will not leave me confused like my cousins. Welcome Jaan to the most comprehensive car community in the Middle East. Although I have never driven either car on a long term basis to give you the pros and cons, but having been in the desert myself and off-road scene for over 10 years I would like to help you decide. Land Cruiser: I have found it to be comfortable on-road and off-road, it all depends on your choice of suspensions and tires that will make you ride more pleasurable. If you are looking for a LC 100 series than you are looking for a second hand option. The resale value of the land Cruiser is a bit higher as it has loads of after market mods available, spare parts are easily available and it is cheap to maintain compared to other vehicles in the same category. Patrol: Equally comfortable as the Land Cruiser on-road and off-road. The older version 4.5 liter engine used to come with a gear-box which was not complimenting the power of the engine. The 4.8 liter version had a better gear ratio allowing you to do much more, however it was not available in the SWB vehicles only in the LWB. However, I know a few friends who have acquired the 4.5 liter SWB and than converted the gear to the 4.8 liter gear box and are very happy with its performance. This is slight better priced than the Land Cruiser as after market mods are available, parts are easy to get but slightly more expensive to maintain than the Land Cruiser. Comfort: i would always recommend to test drive a few cars before you decide which one feels more comfortable to you. With the summers coming in the prices of these vehicles will drop slightly to give you a better buy. Power to weight ratio: This is very important as most people would be after the most powerful vehicle. The power to weight ratio is simply the power of the vehicle divided by the weight of the vehicle. Although I do not have the exact calculations, but I would assume they would be pretty much the same in the case of the vehicles you are talking about, however if you do select the 4.8 Liter engine on the Nissan patrol you are bound to have some added advantage. Hope this would help, looking forward to some insight from anyone who has actually owned one for a long period to give you a better over view. Well I had both vehicles for long time from 1.5 - 2 years each back to back and here are my opinion. None of them, go with Pajero - Real king of desert. I will vote for Patrol for better performance and road presence, LC is a donkey cart for safari boys only. No offence. Thanks @adil seems like I am liking what I hear about Patrol, but if I am going for a used car and since it is automatic, I have heard that there are a few problems with Y61 gear box, can someone please advise if they know something. Thanks @derik for your advice, which Pajero is known to perform well in the desert, I mean which model year and engine type should I be looking for. Thanks @Gaurav for such a technical post, looks like you cannot get the best of both worlds, need to sacrifice cost if you want performance and sacrifice performance if you are looking to save cost. 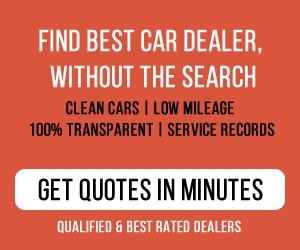 BTW do I need to service with the agency if it is a used car, or can I get it serviced in outside garages? I ask this because @Gaurav mentioned Al Futtaim Service and AWR Service which I think is the agency here dealing with Toyota and Nissan. Well I was giving you full 360 degree picture of each model along with their dealer support in Dubai. However it's upto you to maintain it with dealer or outside competent garage, but it's always good to bet on brand whose dealer is competent and more supportive as sometimes you might need their help and support. Nissan Patrol also has a known issue of weak front differential that break or bend on slightest jump. You can modify the whole axle with some metal reinforcement and protect axle and diff together.